Sony has finally offered up an official release date for the PlayStation 4, and it's less than three months away. PlayStation 4 fans, now would be a good time to circle November 15 on your calendars. 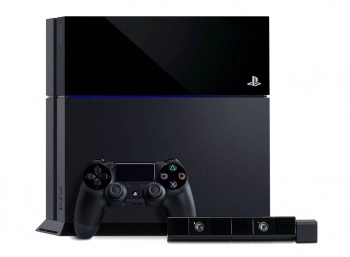 That's the date on which the PlayStation 4 will make its retail debut with a $400 price tag. That news comes courtesy of Sony's Gamescom press conference, which drew to a close moments ago. Alongside over a dozen new games, the firm revealed a release date for the console, word that it will have innate, hardware-level support for remote play on the Vita handheld, and the option to stream gameplay footage directly to Twitch. If you missed the stream, don't worry. The Escapist will be filled with crucial revelations from the conference momentarily. Keep your eyes peeled for everything you need to know.